The Fitness Marketing law of attributes reminds me of the law of exclusivity and the law of the opposite. Almost in every law I discuss how important it is to be first in the prospect’s mind and that you must own a word that is solely yours, like Coca-Cola owns classic and the real thing and Volvo owns safety. The Fitness Marketing law of exclusivity states you can’t own the same position or word of your competitor and the law of the opposite states to use your competitors brand or word and do the opposite by creating your own word in the prospect’s mind. The Fitness Marketing law of attributes is similar to this philosophy. 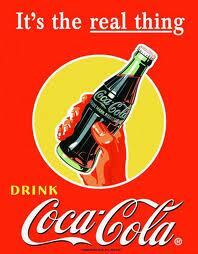 Often times, entrepreneurs try to emulate the leading brand and end up failing. With the law of attributes you search for an attribute opposite of the leader to play against; having similarity just won’t work. Fitness Marketing is a fight against different ideas and to be successful, you need your own attributes for your product or service. If not, then your focus better be on low pricing so it appeals to the prospect. Keep in mind, all attributes are not created equal and what appeals to one prospect may not appeal to another so it is your job to determine and own the most important one. Determine your target market and what attributes are important to them? Once you figure this out then devise a plan to dramatize the value of the attribute and increase your share in the market. For example, Crest owns cavities, which is the most important attribute for fighting them, which is what Crest toothpaste does so what could another company focus on to gain some of the market share: whitening, taste, or cost? These aren’t opposites but important attributes that can gain market share. The Fitness Marketing law of attributes applies to the leader of a brand as well. Example: Gillette, known for its high technology, is the world’s number one razor blade maker. A competitor from France created an opposite category, the disposable razor. 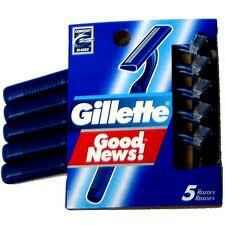 Gillette took the competition seriously and developed a disposable razor called Good News. With some heavy marketing, Gillette actually won the battle of disposables. They didn’t quit when a competitor did the opposite and because of this, Gillette dominates the razor blade business. The bottom line is to know what attributes are important to the prospect, know which word is owned by your competition, focus on owning your own word and empowering your product and the prospect’s needs. You have to do more than satisfy the prospect to win market share. Drive your concept into the prospect’s mind so they feel they cannot live without your product or service. Find the most important attribute and use the fitness marketing strategies we’ve been discussing so your competition fears the outcome.